Last week we learned how bossy the letter r can be. Last week we learned the sounds for or and ore. This week we are learning the sound for ar. Below are some links for your child to hear and practice or and ar words. Beginning this first week in February we will be learning about telling time. The link below will send you to a blog that has many online games for your child to play to practice this important skill. When you get a few minutes please look at some of these games and activities with your child. This week we have been learning about the difference between fact and opinion. Below is a link to a game that provides practice with this skill. Please click on the link to play the game. In December we are beginning to learn to count money. This can be challenging for students especially because they don’t see coins on a regular basis. On my math page there are links to games for your child to practice this skill. Please click here to go directly to the math page. On Wednesday November 19th the children had a wonderful time preparing for our Thanksgiving Feast. They had fun peeling apples, mixing pumpkin, and rolling pie dough! A big THANK YOU to Mrs. Good, Kaeden’s mom, and Evan Brace’s grandmother our parent volunteers. Mrs. Martin, from the cafeteria baked the pies for us and they turned out delicious! November is a busy month! 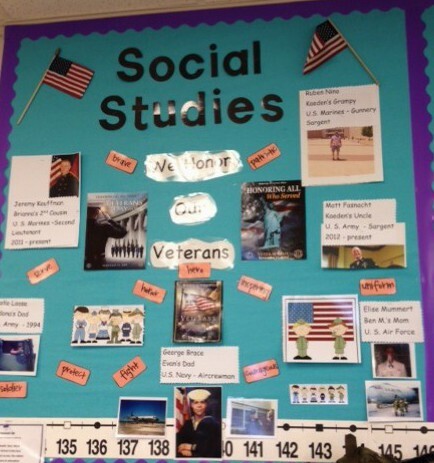 In class we have been learning about Veterans Day. We read stories and watched a video to understand this important holiday a little better. We learned about the 5 branches of services and a little bit about what each branch does. Then we talked about what a Veteran is. As a culminating activity the children showed pictures and shared about their family members who have served our country. How humbling to see how many people in our small community that have sacrificed part of their lives to serve our country. I made copies of the pictures and created a bulletin board in our classroom. 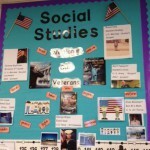 Below is a picture of the bulletin board in our classroom. If you have a family member that was in the service please still send in the picture and information. I will keep the bulletin board up through December. THANK YOU to all who have served our country so selflessly. We are continuing to learn about the parts of a story. We have learned about characters, setting and events in a story. We will be starting to learn about how the parts of a story are connected. This can be a challenging concept for First Graders so we will continue to develop this concept through discussion and activities in whole group reading, shared readings, and small group reading. Below is a cute video with children showing their understanding of this concept. 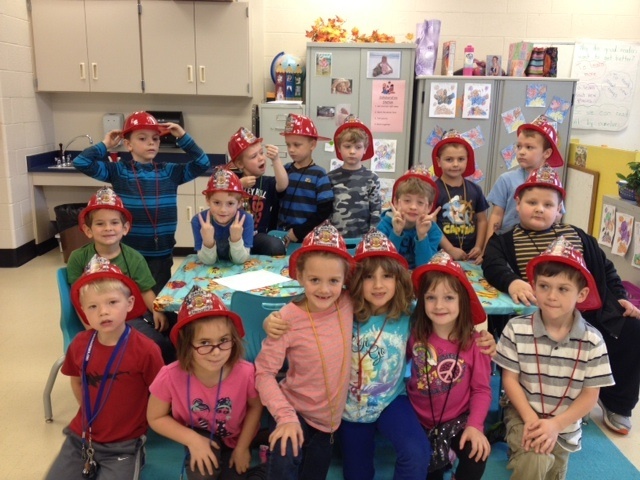 Volunteers from the Brecknock Fire Company and Fivepointville Ambulance Service came to our school on Wednesday. The children enjoyed learning about fire safety, what EMT’s do, and going in the Smokehouse. They especially loved the hats they were given. 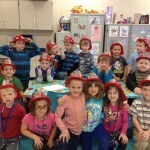 Below is a link to a Fire Safety video that they enjoyed. Thank you for all of the extra time you have been spending practicing sight words with your children at home. Most of the children moved to a new Sight Word list this past week. Yeah! I thought the children might enjoy practicing in a different way. Below I’ve listed some links that have sight word practice and songs. Just click on the link and Enjoy! On Monday I sent home a note asking you to practice some sight words with your child. Many of the children commented to me that they already began to practice those words. I noticed improvement in our small group time! Thank you! Below is a link to help your child practice the first 25 sight words. Please click on the link and encourage your child to practice sight words in a fun and entertaining way.